Hawthorns takes its name from a key partner of the Stephenson Works site from the 19th century. It offers all day, brasserie style, authentic North British cuisine. Our food is freshly prepared, locally sourced and designed to meet your needs. Whether you are having an intimate dinner, an informal business meeting and you are simply looking for a quiet corner or fueling your busy lifestyle on the move, Hawthorns is ideal. A modern brasserie specialising in authentic food and drink from the North East with a team passionate about educating, raising awareness and celebrating what the North East has to offer, of which includes support for local musicians playing daily. 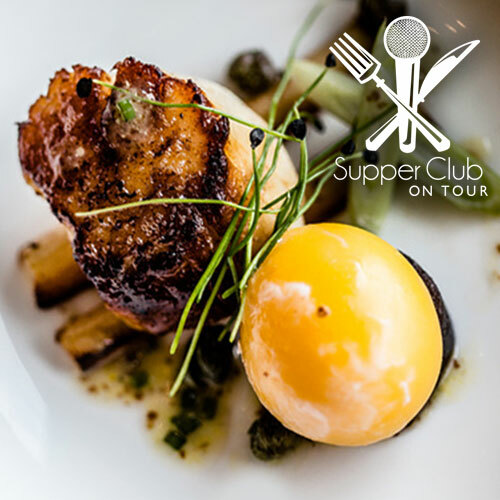 The Red Shoe girls had the priviledge of being partie to a proper tasting session and the food was so delicious we could not help but put a stop for our SupperClub on Tour here as well. And there’s only one thing left to reveal… the menu!! Click here to have a sneak peak of what we have in store for your foodie palates!